NEW! 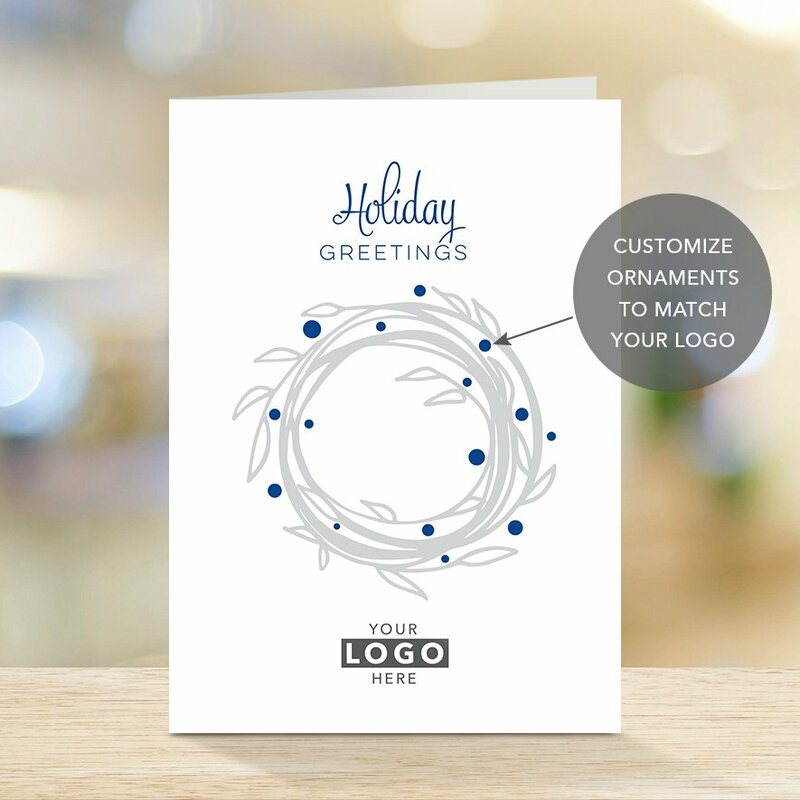 Add your logo to the front of this custom card and have the option to change the ornaments on the wreath to the same color as your logo. Choose from our selection of verses or add your own custom verse. Vertical card, size 5" x 7" with a side fold. Printed on an uncoated 12 point Cougar recycled stock by an FSC certified printer. 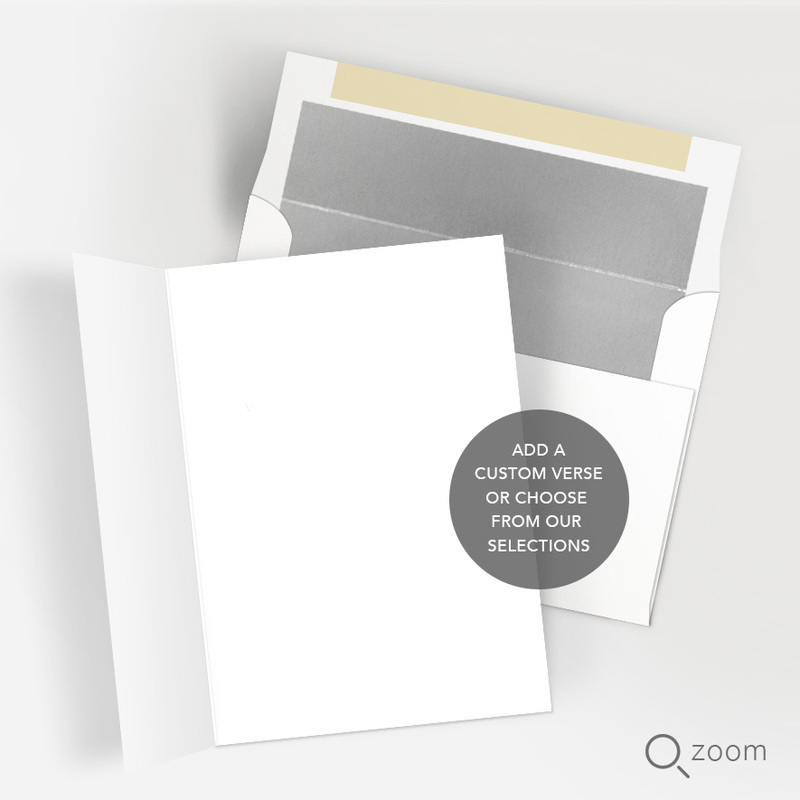 Price per card includes size A7 gold foil-lined white envelopes, also manufactured on recycled stock. Made in the USA.